Announced in September this year, Lenovo’s sub-brand Motorola Moto Z, also known as the Motorola Moto Z Droid in the US undergoes a massive price cut. Regularly selling for $699.99, for a limited time, you can buy unlocked midrange mobile with 5.5-inch QHD screen Moto Z with quad HD display, Snapdragon 820, 4GB RAM and 64GB storage for $499.99 ($200 less) in the US via Amazon retailer. Lenovo introduced the Moto Z as the world’s thinnest premium smartphone, the durable handset sport a round design with a metallic coating. This coating is water repellent, making the handset splash proof. The 5.5-inch Super AMOLED Quad HD touchscreen display boasting 2560 x 1440 pixels in resolution offer one of the best screens you can find on smartphones today. The screen itself is protected by the durable Corning Gorilla Glass. Motorola Moto Z runs the Snapdragon 820 chipset with 4GB of RAM and 64GB of flash storage supporting expansion via microSD up to 2TB. It runs on Android 6.0 Marshmallow but the handset can be upgraded to Android 7.0 Nougat. The featured 13MP main camera with f/1.8 aperture, Optical Image Stabilization, 1.12um pixel size, HDR, 8-times digital zoom and a dual LED flash allows 4K video recording at 30 frames-per-second. The selfie snapper on the Moto Z is a 5MP FHD camera with f/2.2 aperture and a flash of its own. 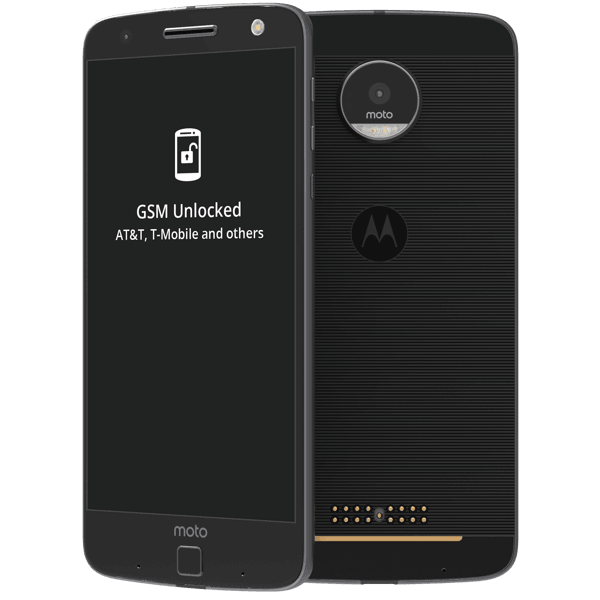 Moto Z comes as an unlocked phone supporting all carriers, it supports 4G LTE network, dual-band WiFi 802.11 a/b/g/n/ac clocked at 2.4GHz and 5GHz, Bluetooth 4.1, NFC, GPS, USB Type-C, a front-facing fingerprint sensor on the Home button, and supports connection to Moto Mods. Moto Z phone gets powered by a 2,600 mAh battery with TurboPower fast charging technology that requires only 15 minutes of charging to power up the handset for 8 hours. A fully charged device is expected to last for over than two days in mixed use.